Meet Nick Makrides he's a pastry chef, graphic designer and a food photographer. 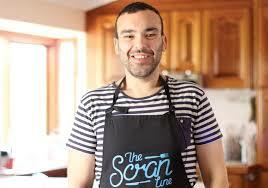 He's created a website called "The Scran Line". On this website, he cleverly combines graphic design and cake and the finished creations are really something else! 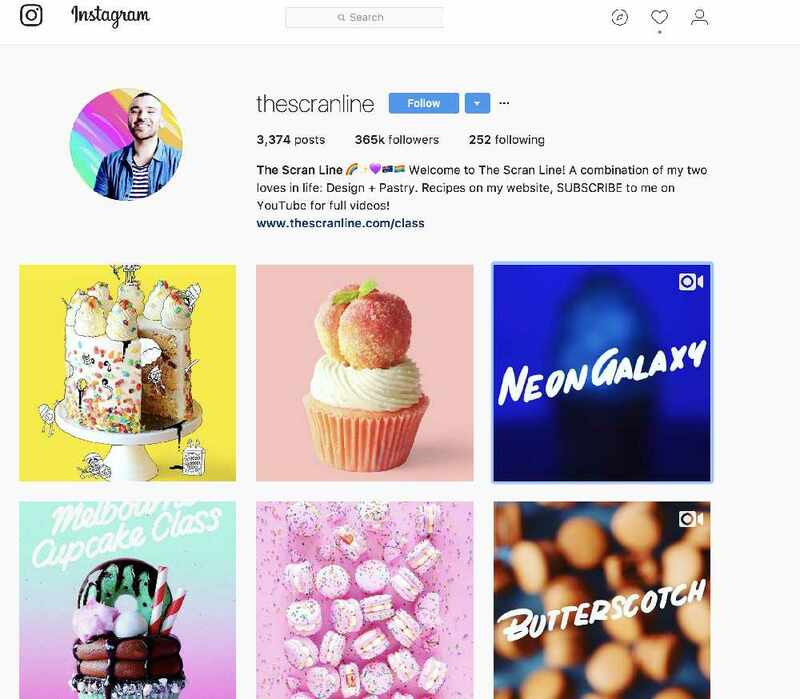 We were first introduced to him on Instagram when his super bright page caught our eye. 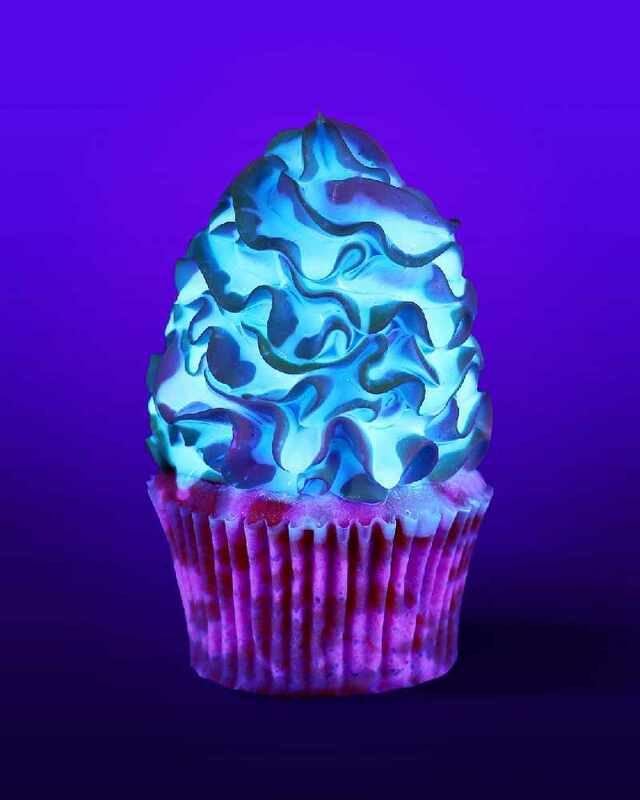 If you wanna make your own "GLOW IN THE DARK CUPCAKES" we've got the recipe HERE.